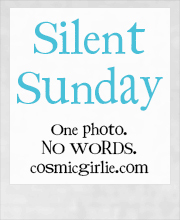 This entry was posted in Silent Sunday on March 8, 2014 by Lou. Great to see snow. We’ve not had any this year, though this late in the year we don’t want any!! I was going to say pretty much exactly the same thing as Sarah MumofThree! Hope your spring arrives soon! Wow how is that flimsy branch holding all that snow? I imagine you feel much as I do, enough already! i do hope it melts soon! Absolutely beautiful picture. Love the contrast of the spiky leaves and the snow.